James Butler “Wild Bill” Hickok, billed as “the most celebrated Scout and Hunter of the Plains,” began his brief career in show business in 1872 at Niagara Falls with a few captured buffalo and a staged hunt. The hunt was promoted by showman Sidney Barnett, who with his father owned a museum on the Canadian side of Niagara Falls that was popular with tourists. 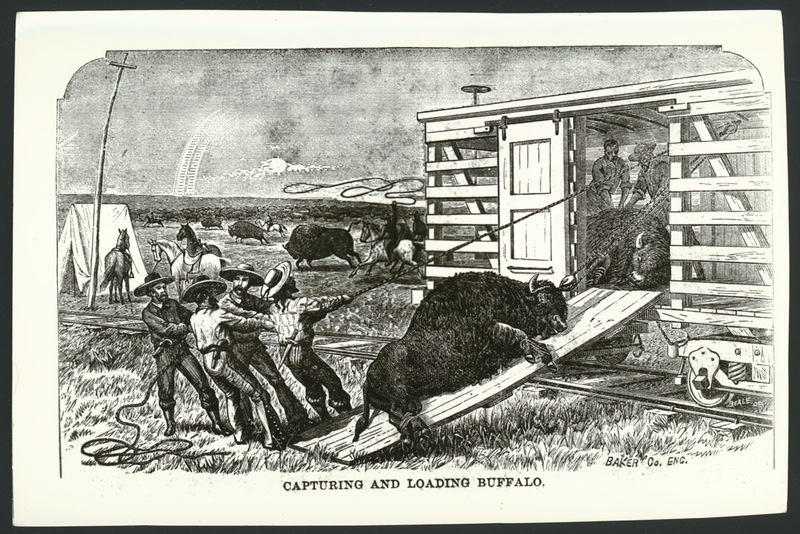 Barnett believed that an event featuring live buffalo would be a major attraction there. Asked for his help, William F. “Buffalo Bill” Cody referred Barnett to John B. “Texas Jack” Omohundro, who promised to help secure the animals for the hunt. Barnett also secured the help of Maj. Frank North, through whose auspices a group of Pawnee Indians was invited to the hunt. 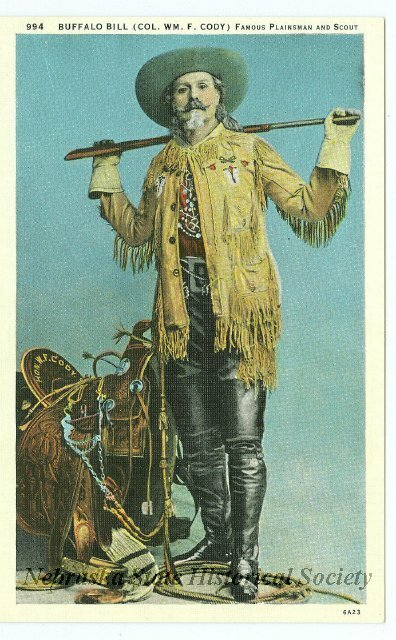 Postcard view of Buffalo Bill, “Famed Plainsman and Scout.” NSHS 13000-3032 (at right). The widely advertised performance finally took place on August 28 and 30, 1872, on the Canadian side of Niagara Falls. Read more about the hunt in Joseph G. Rosa’s article, “Wild Bill Hickok, Buffalo Bill Cody, and the Grand Buffalo Hunt at Niagara Falls,” in the Spring 2005 issue of Nebraska History. Copies of the magazine are available from the Nebraska State Historical Society Landmark Stores.